2x12 closed-back combo that uses a pair of Celestion G12T-75 speakers at 8 ohms each. Here you can see the Rack Holster. 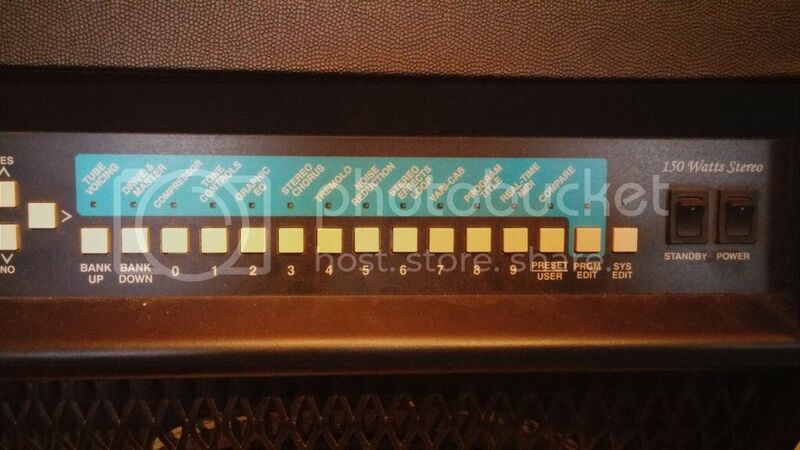 A rackmount fx processor of your choice can be vertically mounted here if desired. The Rack Holster itself is detachable; it's held on with 4 special Velcro inserts. It takes a good whack to install this rack into the Velcro, so it's not flimsy like you'd think Velcro normally is. 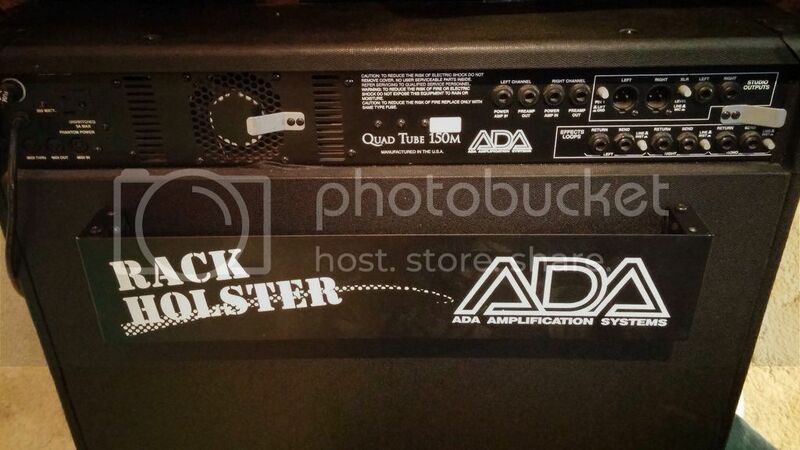 Still, it's not recommended to transport the amp with something mounted in the Rack Holster. 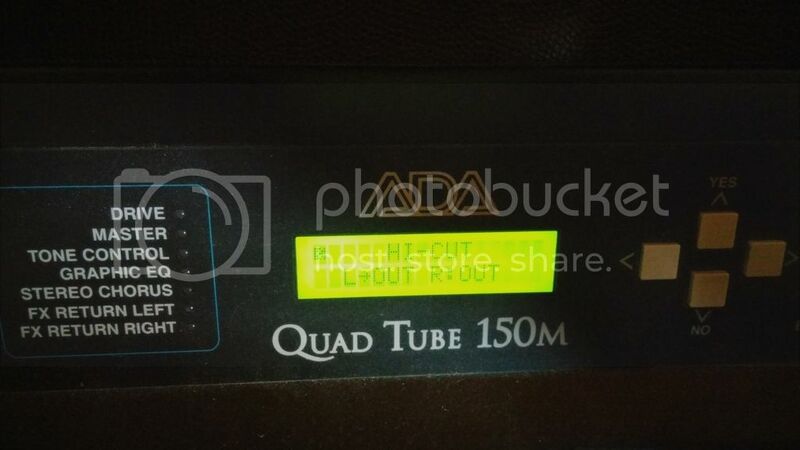 Looks similar to the MP-2 Input, except the Quad Tube also has a High/Low switch that sets the Input sensitivity. The manual says that if the Input Clip LED is lighting up when you play hard, you should set the switch to "Low". The button layout is similar to the MP-2, except the buttons are actual buttons with a tactile switch behind them instead of the membrane-style panel the MP-2 has. Also, there's a VariCab function on this menu (instead of Wah). This gives the amp programmable cab emulations; Bypass, 2x12 Vintage, 2x12 Bright, 4x12 Vintage, 4x12 Bright, while also using switchable Lo Boost, and Hi Cut. These all can be programmed on Left and Right independent of each other. 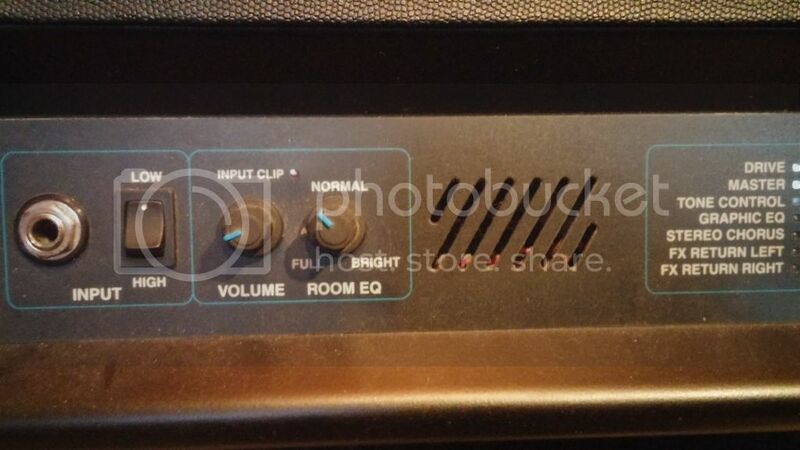 A Standby switch allows the amp to be used quietly without the speakers on for recording, etc. 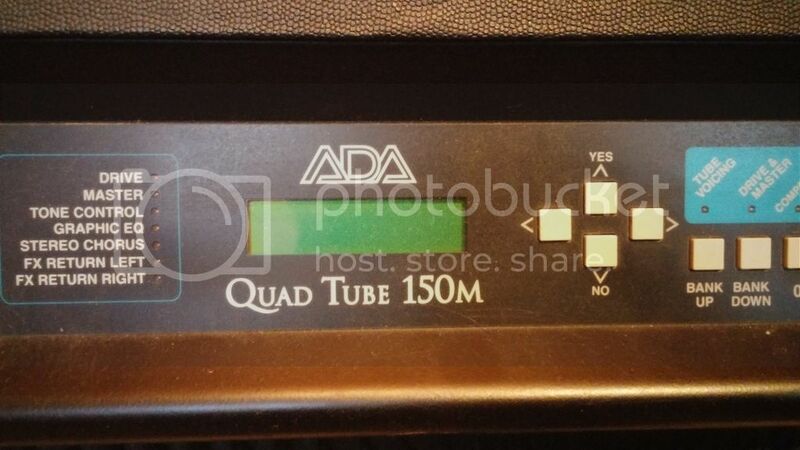 The Quad Tube has six Chorus modes to choose from: Rock I, Jazz I, Rock II, Jazz II, Rock III, and Jazz III. According to the manual: "The Jazz modes have a large stereo field, and in general, sound best with Clean sounds. In contrast, the Rock modes are more tightly focused and work better for distorted sounds. In Rock II and Jazz II modes the chorus rate is slightly modulated by the guitar input (i.e., the harder you play, the faster the chorus LFO). This makes for a chorus effect that is very dynamic and alive. Rock III and Jazz III are the same as II, but with twice the modulation amount." Midi In, Out, and Thru jacks. 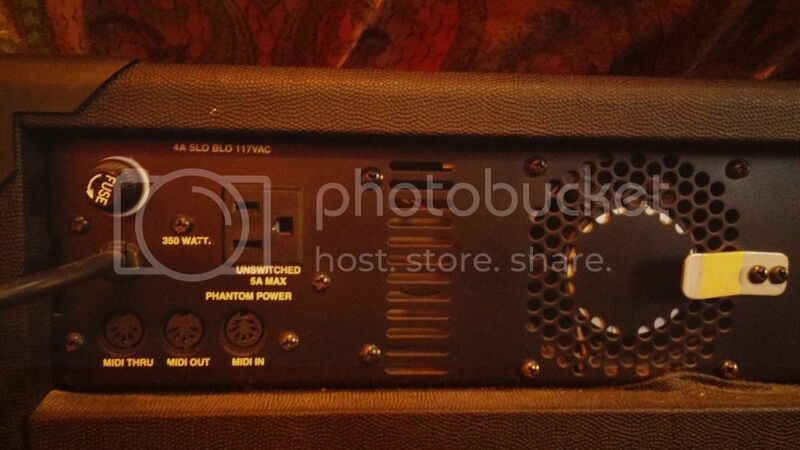 This amp has Phantom Power supplied internally, unlike the MP-1/2 which needs an external power supply hooked up to send Phantom Power through the 7-pin midi cable to switcher. There's also a quiet cooling fan to keep temps down. If I understand this correctly, the Quad doesn't have the Wah function like the MP-2, and the Chorus is preset and limited to six selections. The Vari-cab functions are in the menu, is it the same choices you get with a Microcab? The rack holster is an interesting idea since one multi effects processor would cover almost anything else that isn't in the amp already, but it's too bad most of the multi effects out there have such limited delays. 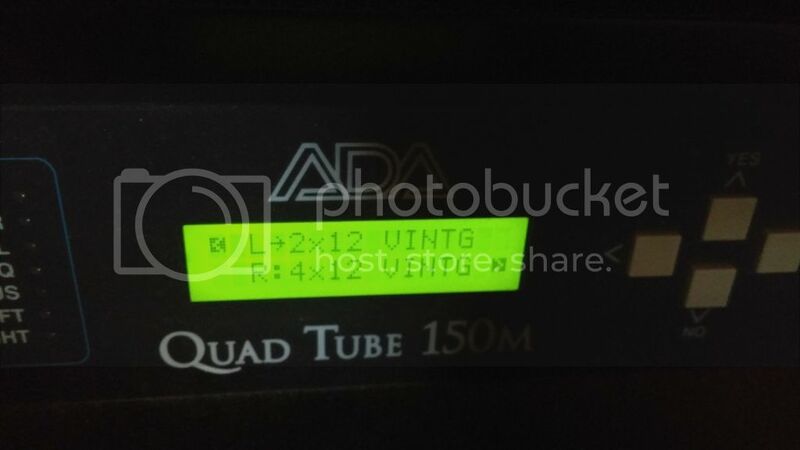 Well, those four tubes aren't all in the preamp section, if that's what you might be thinking. 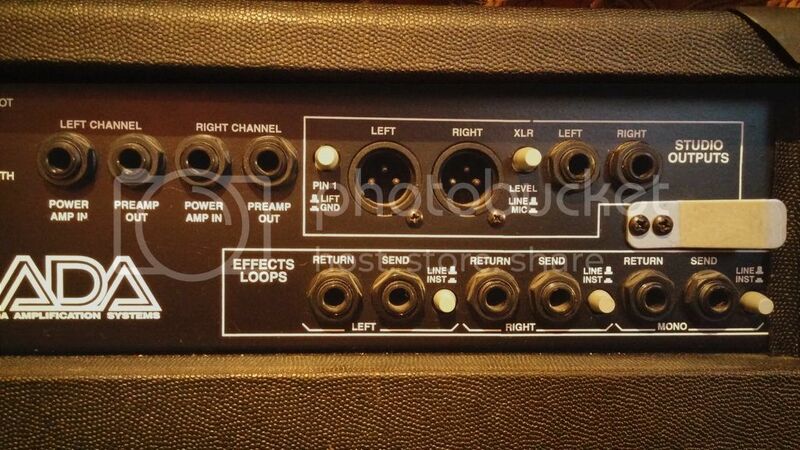 It seems to be laid out like an MP-2 (with two tubes) and a Microtube with one tube for each 75 watt/8 ohm channel. 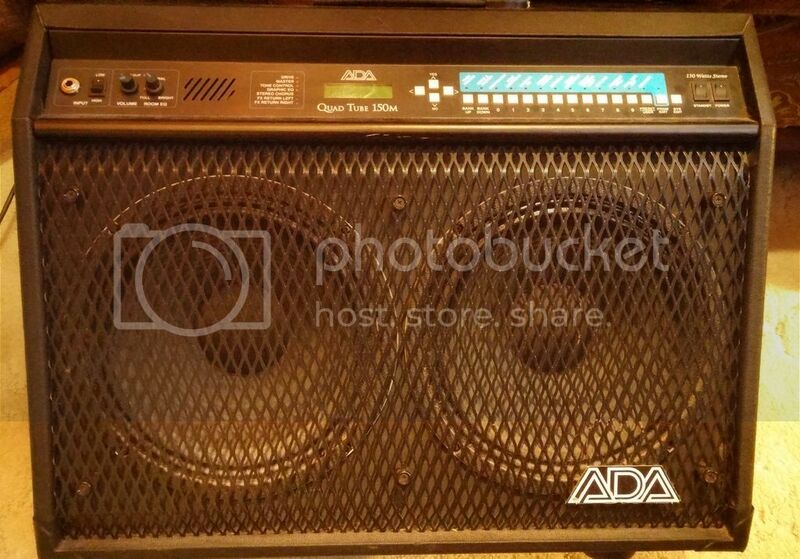 I haven't physically opened it up to look at the inside of this amp yet (I know...wtf, right?) other than pulling the speakers out to verify what brand/model they are. The Chorus Depth and Rate parameters are still as adjustable as the MP-2. The different modes of Chorus allow for different textures by completely separating the Left and Right waves in the Jazz modes (making the widest stereo field) and mixing a bit of the Left and Right waves together in the Rock modes to make the stereo field a bit narrower. Here's a menu shot of the Varicab. You can see that the Left and Right side can be adjusted independently of each other. Varicab selections are Bypass, 2x12 Vintage, 2x12 Bright, 4x12 Vintage, and 4x12 Bright. No Open-back or Closed-back options. I knew about the programmable cabsims, but not which emulations they do. Nor that it has the chorus/stereo-widening/narrowing function. Hehe, I'd like me the [MP-2 derived] processor without the amp.. Does the chorus preset make a lot of difference or is it just subtile? Hey Kim, Ahh the poweramp is based on the MT200 , that makes sense. Hey Harley, as you say most multi FX have limited delay times as all the time based effects (which the majority of them are (e.g. pahaser, flanger, reverb, chorus (not that chorus is very hungry comparatively)) share the same processing resources/memory etc. My Quadverb will let me have longer delay times (albeit still shorter than I'd like sometimes) if I turn other time based FX off and go mono delay only. 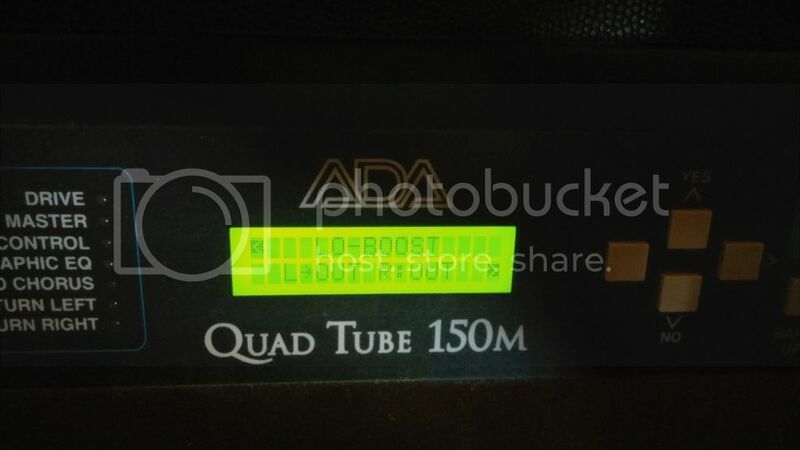 The ADA digitizer has a VERY good delay, I really love it !! Beter then all the other ADA delays. Personally, I always liked the built-in Chorus in the MP-1 and MP-2, it could be strong or subtle, depending on your depth setting,(I always set mine around 40%). The Classic Chorus always seemed to lack that strong presence in the depth to me. I like to add an additional Chorus effect to a crunchy rhythm setting, so I would add a S-1000 or 64i in the effects loop since they both produce the sweetest Chorus effect IMHO. That would create a super thick guitar tone for me without adding additional high frequency peaks to the guitar tone. A common problem I seem to notice with other units including the Digitizer 4. I'm not sure yet, as I haven't experimented too much with the Chorus. I think I should record some clips to demonstrate it. I remember a discussion in here back in the days about the differences between the MP2-derived controller in the Tri/Quad and the MP-2..
As Kim just outlined, the Tri/Quad has those extra parameters on the chorus, but it also has some sort of dynamic envelope-follower control of chorus- and vibrato speed. Not sure if the depth likewise can be controlled..
AFAIR, MJMP back then stated that those dynamic controls really didn't work too well - from a player POW, at least.. Still.. I'd be interested in knowing how useful those dynamic features really are in real life. From what I see the rock or jazz settings have a different wet/dry ratio. And maybe some different LFO settings but this is done in the software so I can't be sure of that.